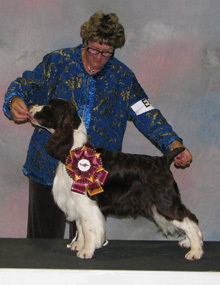 The SVESSC was founded as an AKC Spaniel Hunting Club in 1992. 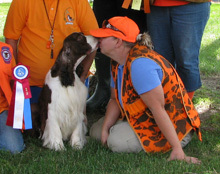 As our membership grew, we developed Speciality Dog Shows, added our Field Trial Division in Altoona, PA, and developed the best DVD media series for the English Springer Spaniel. Connor finishes his Junior Hunter Title. Malcolm Best In Show UKC Champion.